Wish to see genuine cobblestone Germany? Explore the old towns and half-timbered houses of the Romantic Road towns like Dinkelsbühl, enjoy the picture-perfect cities of Rothenburg, Bamberg, Nuremberg with local guides, tour best castles, including the Neuschwanstein, Residence Palace, the Imperial Castle of Nuremberg, and Schloss Rentweinsdorf. Stay at hand-picked hotels, and build your Germany itinerary around your likes. Following breakfast and check-out, meet your guide-driver to experience a truly royal tour of the majestic Neuschwanstein Castle which inspired Walt Disney! Following the tour, you travel north to arrive in Dinkelsbühl - a timbered town on the Romantic Road. Witness the unspoiled townscape dating back over 400 years, with its mighty churches and patrician houses. After Dinkelsbühl you are taken to Rothenburg for the overnight. 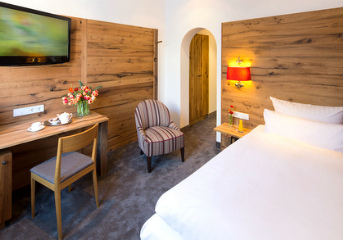 Alternatively, you may choose accommodation in a Castle hotel outside the city. Refer to your destination specialist for more details. Following breakfast, you meet your guide and start a 2-hour private walking tour of Rothenburg, the town of the "Red Fortress". The history of the town goes back to the 10th century, having periods of the rise and fall. In the 19th century, the city became an inspiration for artists and writers, presenting the epitome of “old German” urban architecture. On the tour you also visit St. Jakobs Church, a historic Lutheran church, built in the High-Gothic style and famous for its high altar and religious artworks. Following breakfast and check-out, meet your guide-driver and embark on a private trip to the center of Franconian wine production, lavish baroque and rococo architecture, the town Würzburg. Together with your guide-driver, you start with an exploration of the main sights of the city like Marienberg Fortress, Alte Mainbrücke (old bridge), St. Kilian cathedral and continue to the "Castle above all Castles" - The Residence Palace. Your entrance tickets include a 50-minute group tour inside the palace, and you also see the Imperial Chambers, Mirror Cabinet, available only in the guided tour. Witness The Hofkirche Church located in the southern wing of the Residence Palace after the tour, containing altar paintings by G. B. Tiepolo. After the palace tour, your guide-driver takes you for a wine tasting. Dating back to the Middle Ages, the bishops of Würzburg encouraged and expanded the region's viticulture and set out a strict quality-classification system for Würzburg's wines. Following the tour, you are taken to Nuremberg for the overnight. After check-in you have the rest of the evening at leisure. Following breakfast, you meet your guide and embark on a 3-hour walking tour of the Old Town. Together you dive into the history of the Medieval city with narrow streets and spacious squares and witness the beautiful Gothic Church of Our Lady. After breakfast at your hotel, meet your private guide-driver and start a trip to Bamberg to explore this UNESCO town and surrounding castles. Start your exploration of Bamberg with the Town Hall standing in the middle of the Regnitz River and accessible by two bridges. The Old Town Hall's frescoes always impress as they lend the facades a three-dimensional quality achieved with trompe d'oeil architecture. Continue to witness Bamberg Cathedral which in less than two centuries was burned to the ground twice, and twice rebuilt, with the final construction taking place in the 13th century. Before arrival to Altenburg Castle yard you get a chance to observe a Klein-Venedig ("Little Venice"), a colony of fishermen's houses from the 19th century along one bank of the river. From Altenburg Castle you enjoy a panoramic view of the city and the countryside. Following a stop for lunch, you leave Bamberg to discover Schloss Rentweinsdorf - a castle complex with outbuildings and a park at the site of a former moated castle significantly determines the townscape. The elegant Rococo complex is still inhabited and is not open to the public. Continue to the Schloss Eyrichshof owned by the Freiherr von Rotenhan, a Franconian noble-race family, which settled around the town of Ebern. The last site on the route today is Heldburg Fortress - a medieval hilltop castle rebuilt into a Renaissance castle the 16th Century. Nowadays the castle is a museum* with a permanent exhibition of the history of German and international castle construction, and displays the life of the castle from the Middle Ages to modern times. After the tour, you are taken back to the hotel and the rest of the evening is free for you to enjoy Nuremberg. Please note: tickets to the museum are not included in the tour and can be purchased on spot. This is the last day of your tour. After breakfast and check out, you walk to the train station for your direct 2.5-hour high-speed train to Frankfurt Airport for your flight back home. We hope you are leaving with the ultimate experience and bright memories and wish you a safe flight. Traverse the medieval highlights of Bamberg and its castles.